Pittsburgh, PA: On Wednesday April 12th 2018, Arthur Smith, a Squirrel Hill real estate lawyer, was granted an alternative to prison punishment presented to the court by The Aleph Institute. US District Judge Nora Barry Fischer, accepted the proposal and sentenced Mr. Smith to one day in prison and three years of probation with twelve hours a week of community service. 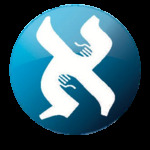 Aleph Institute staff, a humanitarian organization that works with prisoners and ex-offenders, had worked with Arthur Smith for over four years, providing religious counseling and overseeing over five hundred hours of community service. Judge Fischer, who had received the Aleph Institute Alternative Sentencing report of the four years of work with Mr. Smith and other related material, listened intently as Rabbi Moishe Mayir Vogel made the presentation of the need for an alternative sentence, and asked the Rabbi detailed questions about the program. Judge Fischer thanked Aleph Institute for the important work it performs in the community and recognized as part of the record the programing Aleph Institute has performed over the years for the courts with Judge Conti, Chief District Judge for Western Pennsylvania and Belinda Ashley, Chief U.S. Probation officer of the Western District of Pennsylvania. At a meeting after the court case between Judge Fischer and Rabbi Vogel, Judge Fischer stressed the importance of the ‘Aleph Institute - Alternative Sentencing Program’ stating that there are times when incarceration is not the answer and an alternative punishment is the right solution. Alternative sentences carry multiple benefits to society and to individuals. Half way houses, work release programs, house arrest, and day reporting programs are much lower cost to operate, so local, state and federal governments can invest in other programs such as victim services and addiction treatment. In addition, these solutions mean people are closer to their families, friends, and communities. Many families cannot afford to miss work or travel long distances to visit family members in prison. The Urban Institute found that prisoners with high level of family support and involvement have a higher chance of success when they leave the criminal justice system. Ex-offenders that participate in religious activities and education are less like to re-offend. Alternative sentences help people make amends by serving the community through volunteering and repairing the harm caused by their actions. Restorative justice approaches such as these emphasize repairing the harm caused by criminal behavior in a way that benefits the community.